The Super Bowl is a really special event that is a culmination of a lot of blood, sweat and tears! Grown men live vicariously through these heroes with buff bods and amazing brawn. The NFL players are amazing athletes that take their game very seriously - and so does most of America! So, the big night is on and your hubby has invited 6 of his good friends over and has asked if you would prepare a snack or two for them. He’s expecting something simple, but you want to blow their socks off! 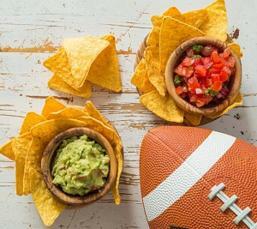 So lo and behold, here is the following list of seriously sumptuous snacks ready to be gorged along with your man’s favorite beer for the big game! There should be at least 6 wings per person for this dish including you and it should be served in large, individual bowls. Extra side bowls should be placed to put the bones and a bunch of wet wipes should be available for everyone. Make sure the trash bin is nearby. Keep in mind that this recipe ain't so good for your waistline! This supplement will lead you to the best ways to lose unwanted pounds in a totally natural way. 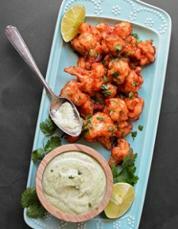 2 teaspoons spicy barbecue seasoning (mix of black pepper, coriander and paprika) or smoked paprika. 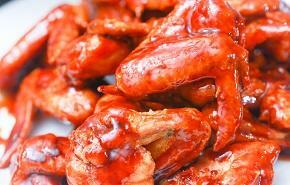 Whisk the tomato sauce, barbecue and Worcestershire sauce, sugar, seasoning, salt and pepper in a glass jug. Place the chicken in a large, shallow ceramic dish. Pour the marinade over the chicken whilst turning the chicken so in effect, you’re giving the chicken a marinade bath! Cover and put in the fridge, turning occasionally for at least 2 hours. Preheat the oven to 200 degrees celsius. You will then line your baking tray with baking paper. Place the chicken in one solid single layer. Roast the chicken, turning once for 25 to 30 minutes or until crisp and golden. Preheat oven to 200 degrees celsius or 180 degrees celsius fan-forced. Spread corn chips over base of a 6 cup capacity baking dish. Spread the beans over the chips. Sprinkle with cheese. Bake for 15 minutes, or wait until the cheese melts. Meanwhile, to make the Guacamole: Place the avocado in a bowl, mash with a fork until smooth, stir in the tomato, lime juice and coriander. Season with salt and pepper. In a medium bowl, whisk together the yogurt, cucumber, garlic, lemon zest, lemon juice and dill. Season with salt and pepper and place in fridge to chill. For extra flavor add some extra virgin olive oil (just a little) and some coarsely chopped fresh mint. Boil water in a pan and add some salt. Place the cauliflower into it. Cook for 5 to 8 minutes, or until tender. Remove, drain and let it cool. Heat oil in a deep fryer to 180 degrees celcius/365 degrees fahrenheit. Whisk the egg and milk together in a small bowl. Place cracker crumbs in a shallow dish. Dip the cauliflower into the egg mixture and then proceed to roll it in cracker crumbs. Fry the coated cauliflower in the hot oil until it turns golden brown. Drain on paper towels. 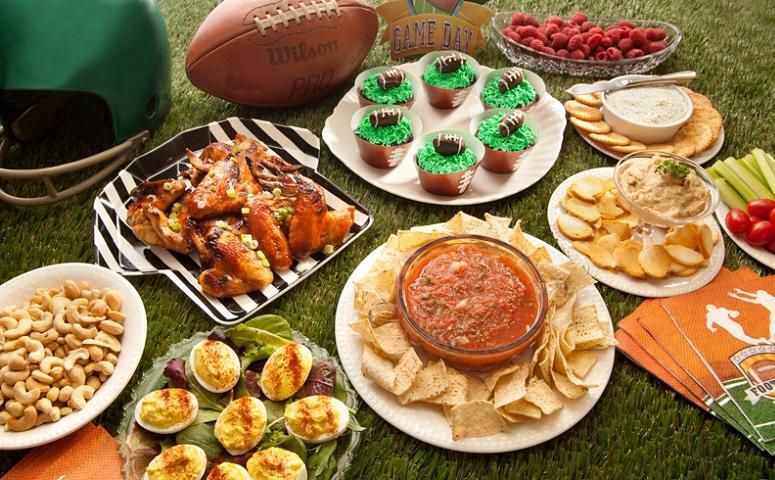 All these Super Bowl snacks are bursting with flavor and your husband and friends will be beyond impressed with your cooking skills! Prepare all of this well in advance, have the snacks ready for them and if watching the Super Bowl is not your thing, get together with the ladies and have some fun!